Do Political Spy Thriller Novels Become So Topical You Say "why bother"
At a thrift shop I saw a lot of Vince Flynn novels. 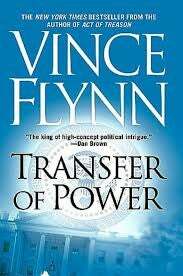 I had read first two in the mid2000s and Transfer of Power was good. Not great just good. I looked at the descriptions of the others. They involved Saddam Hussein an early novel, lots of Al Queda theme novels and I would have liked them then now its “like reading old newspapers or SNL political skits from years ago” we know how the events played out they may be good stories but we are past the events. A lot of writers in this genre are like this. Robert Ludlum a late good writer but so topical. I loved his books in the 80s but not sure I want to reread him or novels I missed. There are some writers who last because they focus on the people and provide a snapshot of the time and thinking. Lecarre fits this catagory. Yet he survived due to his focus on humanity. I would think Clancy early novels will be seen as so topical and with the focus on tech it will be seen as obsolete today or soon.